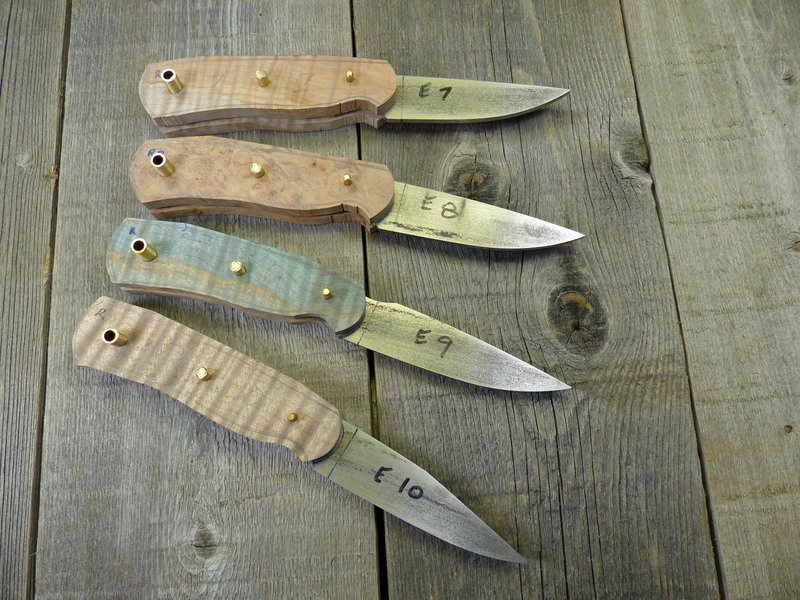 Which wood to use for these EDC knife handles? Always tough to choose! 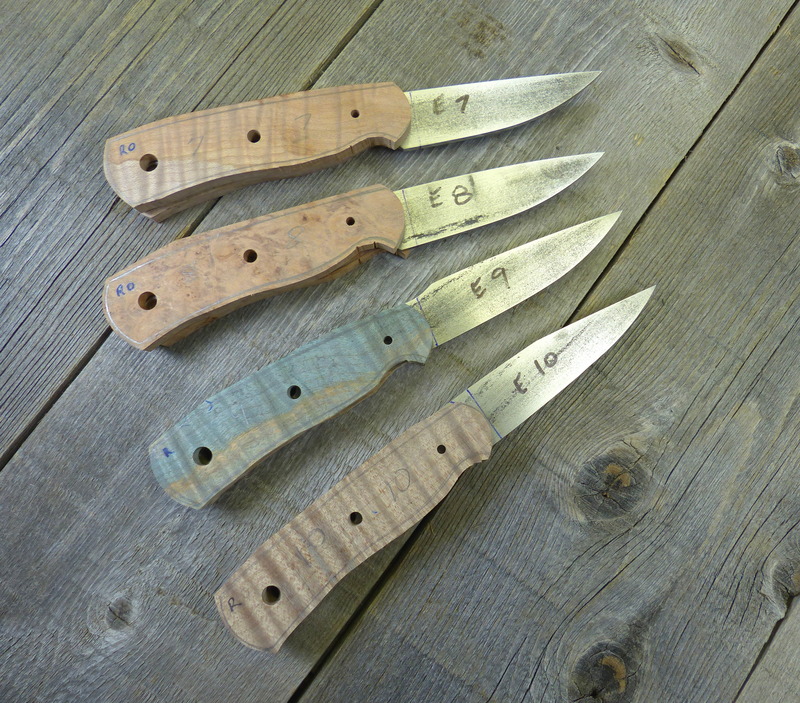 Flame Maple and Burled Elm are popular with everyone (also two of my favorites) so will go with these. But, to keep it interesting…. 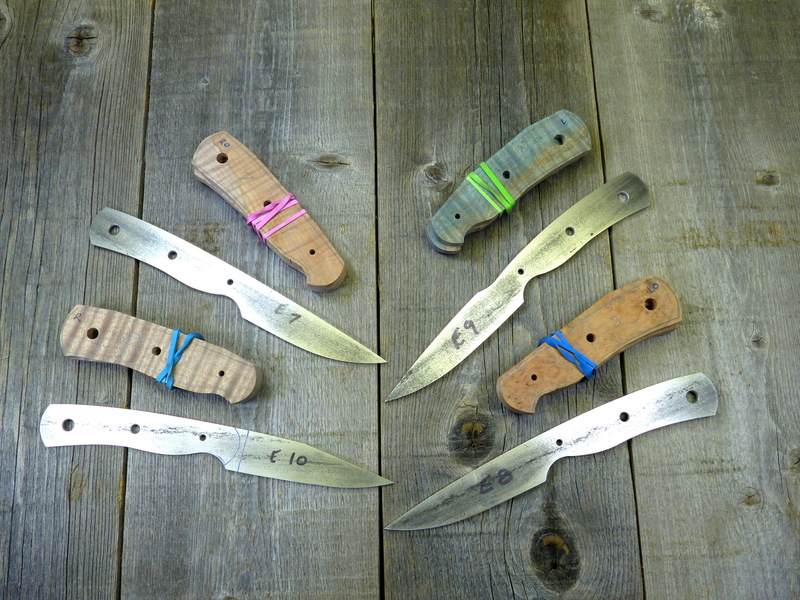 I infused some color into the wood so each is a variation of color. Some green/blue and brown tones added. Handles are now cut out, holes drilled and brass pins inserted. Now comes the long process of sanding and filing.